OMG Posters! » Archive Win a Giant Sam Flores Painting - OMG Posters! To celebrate their 10th anniversary, Upper Playground has decided to give away a MASSIVE painting by Sam Flores. 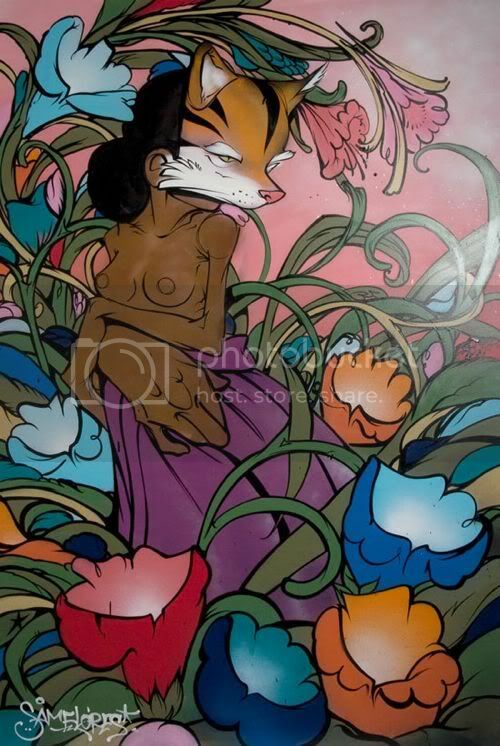 “Flores y Zorro” is a 4′ x 6′ acrylic and spraypaint original, valued at over $10,000. To sign up, all you have to do is sign up for Upper Playground’s e-mail list in the upper right hand corner of the site (if you’re already signed up, you’re good to go). The contest will last about two weeks, and the winner will be announced on Thursday, February 12th. Visit UpperPlayground.com. 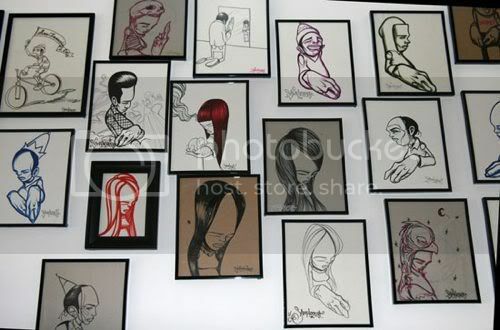 Additionally, Mr. Flores has created 200 small drawings that are currently for sale at the San Francisco Upper Playground store for VERY affordable prices. If you are in the area, go get yourself a piece of original artwork for sure. dude, I have to get my hands on a few of those sam flores drawings. I gotta call the store, anyone know if they do phone orders? They won’t ship these drawings via a phone order. You have to go into the store to by them. When I called they said they were $250 a piece. I have some friends in SF so I am going to send one of them to grab me one. I am in SFO and can maybe go on Monday if anyone wants one. yeah, I also called… tried to get the girl to take a phone order. $250 aint bad, but I (for some reason) expected them to be a little less. HOLY CRAP $250? That passes for “very affordable”? Upper Playground can eat it. I went by there tonight at 7:15 but they were already closed, now I don’t feel so bad. I would say getting a Sam Flores drawing for $250 outside of this sale is pretty much unheard of.